Designed by Gensler, The Key at 12th will stand alone as Oakland’s newest and greenest state-of-the-art office tower, featuring an efficient side core floor plan that maximizes light and air in both open and traditional workspaces. The innovative design will include a 7,900 SF sky deck and direct access to the adjacent 1111 Franklin’s 10,000 SF deck. The project also features 10,700 SF of ground floor retail space, catering to the Bay Area’s modern tenant base. Located directly above Downtown Oakland’s 12th Street/City Center main transfer BART station, The Key at 12th offers convenient access to Oakland and all forms of public transportation, including AC Transit and the free Broadway Shuttle. With easy vehicle access to six major freeways and Oakland International Airport, The Key at 12th is the center of the Bay Area’s transit hub. Downtown Oakland features an abundance of renowned dining, retail and entertainment amenities. In addition, The Key at 12th is across the street from the Oakland Marriott and Convention Center, and is within walking distance of several of Oakland’s most exciting neighborhoods, including Uptown, Old Oakland, and Jack London Square. Offering exceptional access to popular entertainment venues, nationally recognized dining, and abundant nightlife options, Oakland has emerged as a premier destination for employers seeking a true 24/7 live-work-play environment. Designed by San Francisco architects Frederick H. Meyer and Walter Reed, the historic Key System Building was constructed in 1911 and features an ornate Parisian-influenced Beaux Arts façade. The eight story building opened its doors in 1912 as the Security Bank and Trust Building. 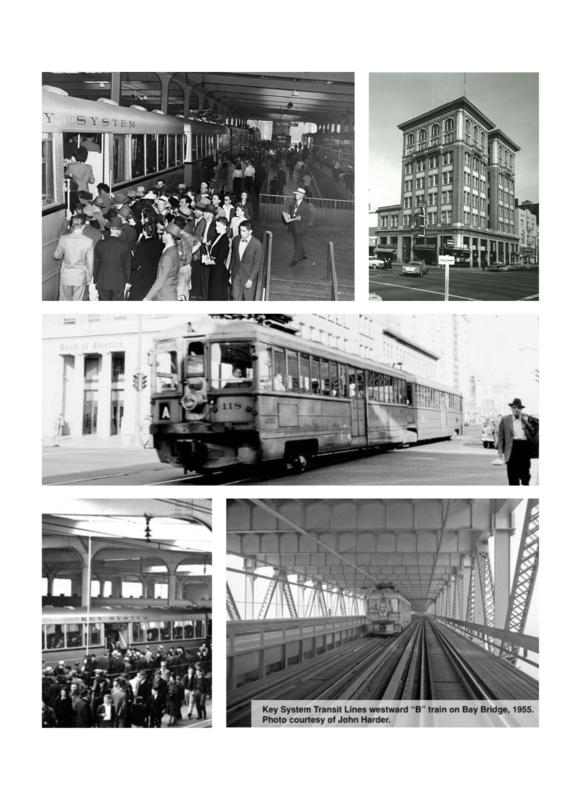 In 1943, the building became the headquarters for the Key System transit line, which at the time ran all of the local street car systems in the East Bay and a line across the Bay Bridge. The building continues to be an important contributor to the Downtown Oakland Historic District and was placed on the National Register of Historic Places in 1984. The Key at 12th will include a fully renovated historic building that will be seamlessly integrated with a new, modern office tower that will increase the building’s floor sizes while remaining sensitive to the Key System Building’s historic character.